Package includes one Aerobie Pro ring and one Aerobie sprint ring. 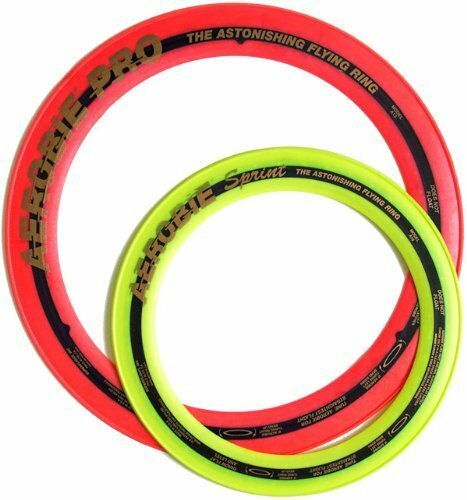 Theoriginal Aerobie Pro flying ring holds the Guinness World record for thefarthest throw in history - an incredible 1,333 feet / 406 meters. For trulyexhilarating games of catch, the Pro ring has no equals. Compact andlightweight, the Aerobie sprint ring flies twice as far as conventional flyingdiscs for awesome games of catch. Its smaller size is its only distinctionfrom the otherwise identical Aerobie Pro flying ring.